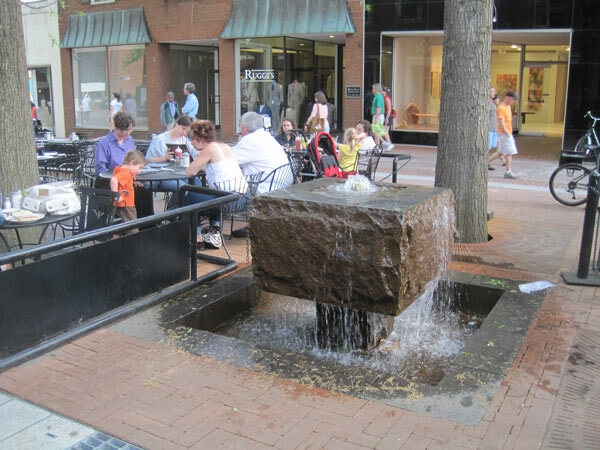 Designed by Lawrence Halprin & Associates in the mid 1970s to revitalize the downtown community, the Charlottesville Mall is significant not only for its subtle and innovative design solutions, but also for incorporating community workshops into the design process itself. 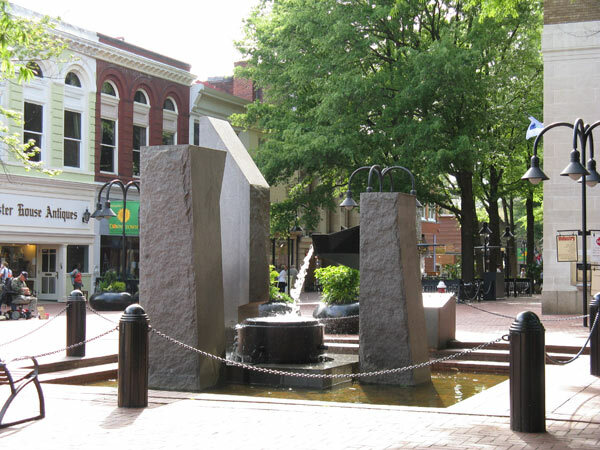 Opening in 1976, the project is located along the city’s historic Main Street and just two blocks from its 1780s Courthouse square. 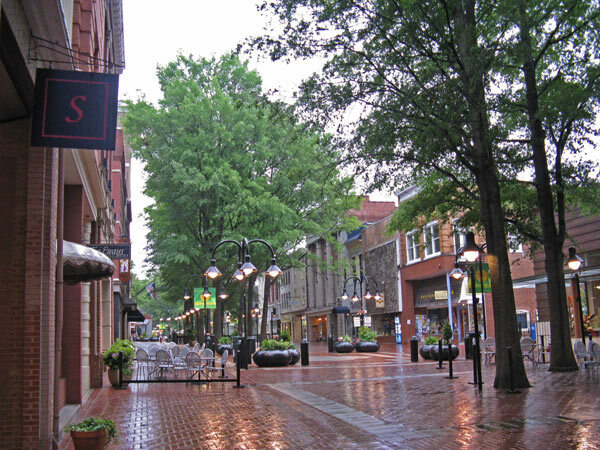 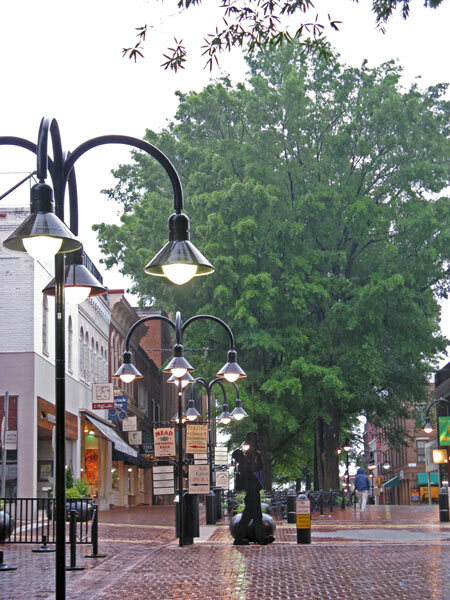 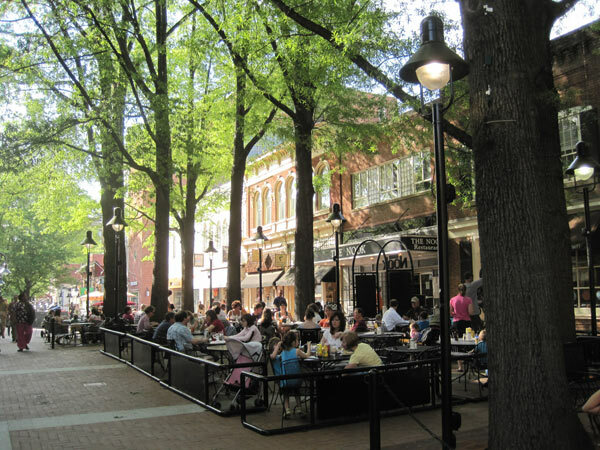 This eight-block-long by 60-foot-wide street has become Charlottesville’s public living room. 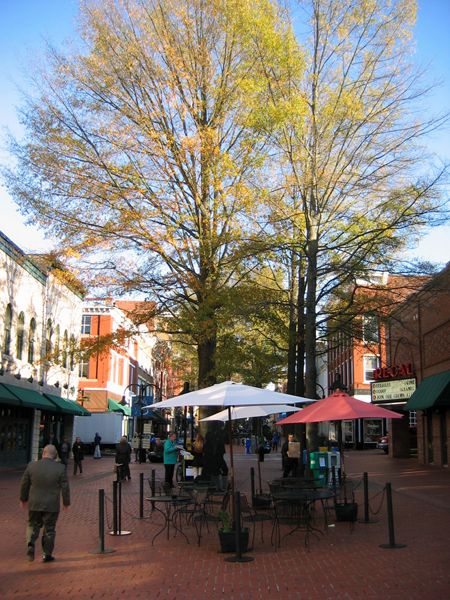 Theaters, restaurants, shops, and apartments line a lively space characterized by willow oak bosques, a brick floor, and significant outdoor seating with moveable chairs and tables. 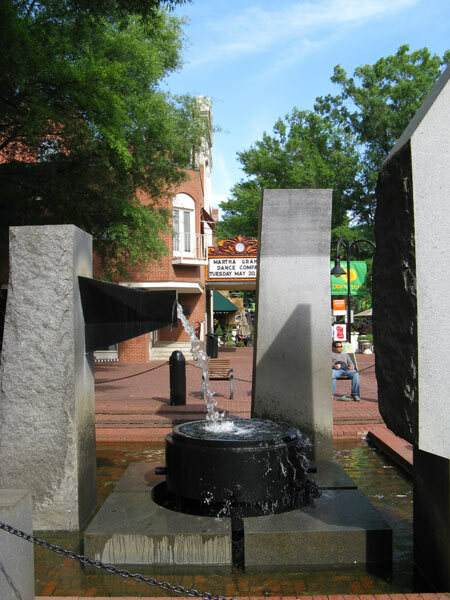 Several small-scale fountains also punctuate the sequence. 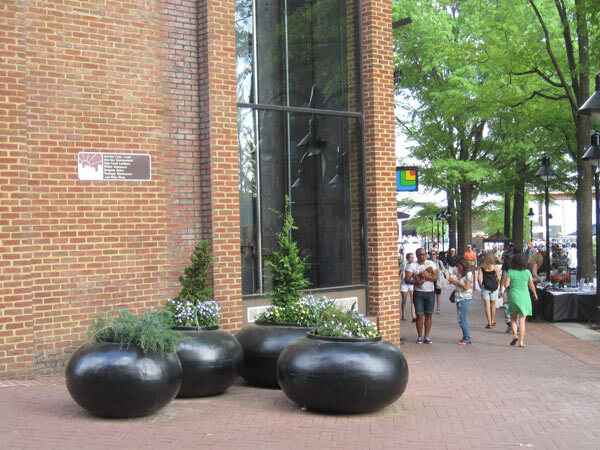 In 2002, the mall received the accolades of the Pew Partnership for Civic Change, acknowledging it as one of three programs that brought a “downtown back to life.” Along with the sculpture garden at the Virginia Museum of Fine Arts (demolished in 2006), this is one of two important projects that Halprin designed in Virginia.